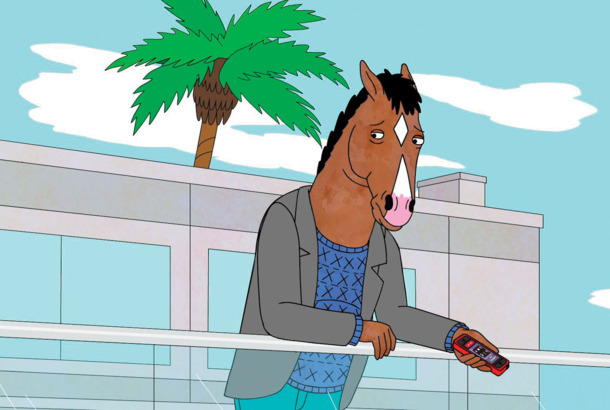 The Fourth Season of BoJack Horseman Is a Marvel of MelancholyIt’s the finest single season of a comedy in ages, though the persistent melancholy and focus on shame and guilt mark it as a comedy-drama. Will Arnett and Prince Harry Have a Cheeky Texting RelationshipKeeping up with the royals. Why Are Will Arnett’s Voice Roles So Much Better Than His New Live-Action Ones?In Lego Batman and BoJack Horseman, he’s able to show a depth that his live-action roles haven’t been able to match. The Lego Batman Movie Starts Great But Dips PrecipitouslyThe first 20 minutes kill. The last hour is like a night at the comedy club after the headliners have left. Lego Batman Trailer: Zero Darkness, Zero GritHe’s not like a regular Batman. He’s a cool Batman! Flaked Is Getting a Second Season, So Break Out the KombuchaIt may be shorter than the first. McCarthy, Hader, Goldblum Audition for Han SoloThey’d look right at home in the Millennium Falcon. BoJack Horseman’s Third Season Is TerrificWith its mix of curveball innovations and very BoJack elements, season three of Raphael Bob-Waksberg’s cartoon sitcom might be its best overall. Megan Fox Offered to Get Lunchables for Will Arnett’s Much Younger GirlfriendsDrag him, Megan. Season 3 of BoJack Will Premiere on July 22The most critically acclaimed show not to care about critics. Watch James Corden Make Movies Into MusicalsCorden tackles Goodfellas, The Revenant, and Gladiator. See the Trailer for Will Arnett’s Show FlakedFurthering your Netflix addiction. Alison Brie Crushes Will Arnett in Her Tiny Fist in Lip Sync BattleWill Arnett has terrible taste in music. Watch Alison Brie Do ‘Shoop’ on Lip Sync BattleLip Sync Battle, we’ve missed you. Netflix Adds Another Will Arnett Series Just for KicksIt’s called Flaked. Arnett, Mayer Among Late Late Show Guest HostsCBS says they’re still in conversation with possible female hosts. 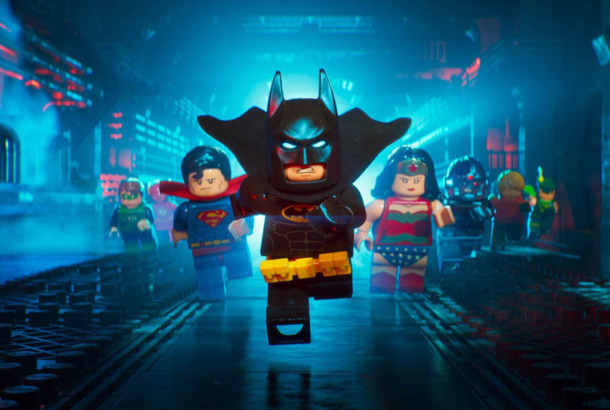 Lego Movie’s Batman Is Getting His Own MovieThe Lego Movie 2 has been postponed. See Conan O’Brien and Will Arnett’s on-Air Tribute to Robin WilliamsThe news broke while they were taping tonight’s show. Will Arnett Confirms That Arrested Development Season 5 Is HappeningG.O.B.! Will Arnett and Jimmy Fallon Play Karate PiñataWatch and learn, young grasshoppers.